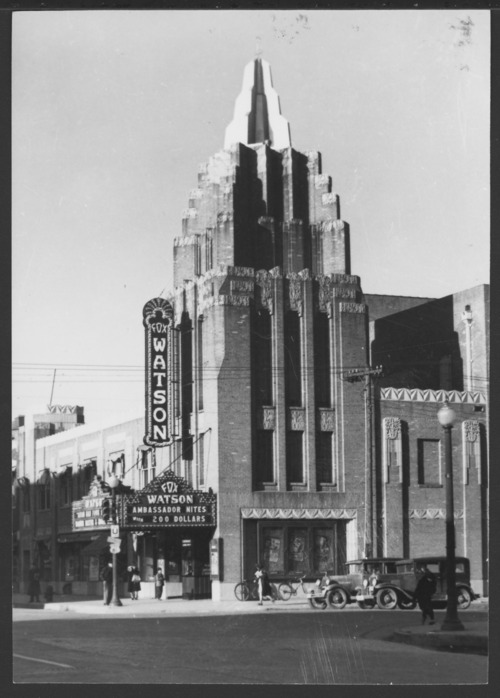 This is a photograph of the Fox Watson Theater at 155 South Santa Fe Avenue in Salina, Kansas. The theater is an example of the Art Deco style of architecture and is on the National Register of Historic Places. Also visible are pedestrians, automobiles, bicycles, streetlights, and a utility pole with power lines.